Project Management House is a training organization providing a group of different project management courses to help trainees to: Learn and understand project management and associated tools in professional and simple ways. Pass the exams provided by PMI, as trainees will solve hundreds of questions similar to PMI exams. Apply what trainees have learned on their projects, in a professional and efficient ways to guarantee the success of their projects. Project Management House has a group of instructors and trainers who have several years of experience in teaching, training and field experience. They work as project managers in multinational organizations. We delivered project management courses by both face to face and virtual training to thousands of trainees and students around the globe and helped them to pass their exams. 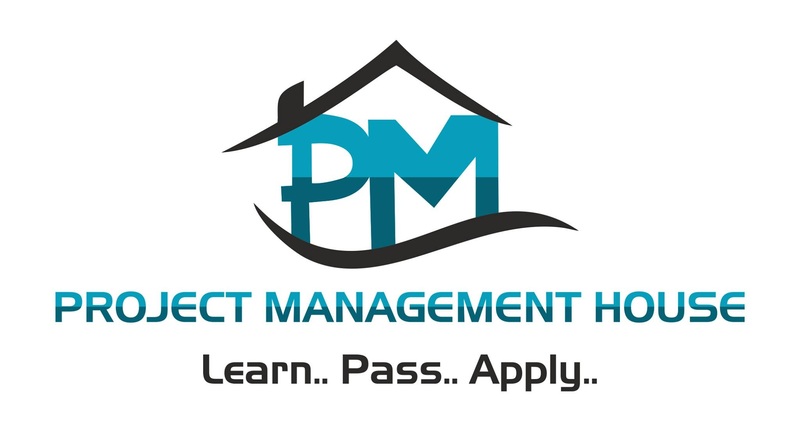 can be briefly stated in three words: Learn, Pass, Apply The goal of Project Management House is to help trainees to: Learn project management and all its needed tools in efficient ways, through the variety of introduced courses, applications,…etc. that not only cover the aspect of project management but also cover the related tools like quality management, risk management, project management software’s,… etc. Pass project management exams (most provided by PMI) through hundreds of solved questions, quizzes and simulation exams similar to PMI exams. We provide test applicants with the required training to pass their exams from the first attempt. Apply the learned skills which the trainees gained throughout their professional and personal life. To help project managers and trainees in mastering the “art” of project management, mastering does not only mean passing the exam but also to be able to transfer the gained knowledge into life experience to help them throughout their careers and personal life as well. Project Management House aims to be among the highest quality, less time consuming and economic solutions, chosen by clients to gain the required knowledge to pass the exams. We also keen on giving the required Arabic language aid to those who can’t pass exams due to language barriers. Project Management House has a group of instructors and trainers who have several years of experience in teaching, training and field experience. They work as project managers in multinational organizations. Project Management House provide training by creative methods like recorded and interactive online training, Android and iOS applications, online quizzes with competitive prices and very high quality. Project Management House helps trainees to overcome the barriers of cost, time, location and language. Project Management House is a training organization providing a group of different project management courses to help trainees in mastering the “art” of project management. Project Management House provides training through online training, recorded and interactive, quizzes, applications on iOS and Android,...etc. 6th of October City, Giza, Egypt. © 2019. Project Management House. All Rights Reserved.